In amongst my collection of Gerald King issues there are a fair number of single sets unrelated to anything else - clearly the product of Gerald's fertile imagination when something has caught his attention fleetingly. So I've added a Miscellaneous page to the askme website and added the first two. Naked ladies and hats. I'll add others from time to time. I know lots of you like Revenue stamps. So, for a treat, I have added two such issues to the Gerald King miscellaneous page. They were both produced in 2000 for The Revenue Society. The Canada stamp was commissioned as an "essay" and given to guests at the Philatelic Congress Banquet. I don't suppose anyone has a copy of that which they are willing to pass on to me in gratitude for me adding the issues to askme? Click here and scroll down the page past the naked ladies and the hats. I've recently discovered that Gerry produced a Bahrain Camel Post stamp in the mid-1980's. I've none of the stamps yet but do own the aluminium printing plates used in the litho printing process. I do also now have my hands on a redesign of the stamp . The original plates and revised issue can be seen here on the Askme website. 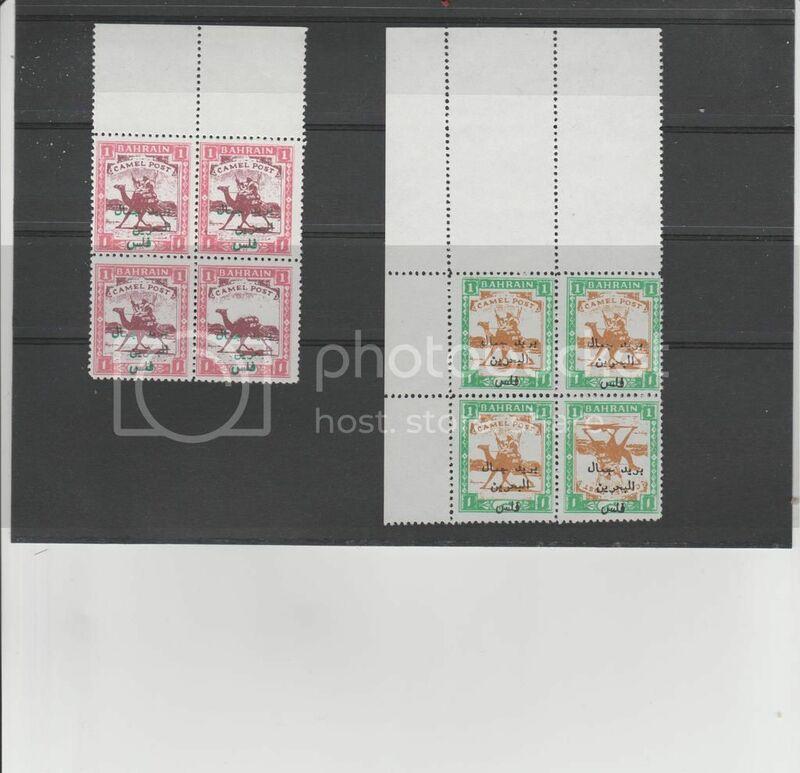 I've discovered that I do have two blocks of the original Bahrain stamps!! Discovered in a house move and perhaps making up for the things I can't find yet. So I've updated the askme website to include these. Here are the little beauties! Did you also discover a printing press while moving house Keith???? If only..!! I've loads of Gerry King aluminium plates and could swamp the market with Wonderland stamps in new colours and make a killing. Co-incidentally my new home was converted from a printers in 1980 but they didn't leave any machines behind. 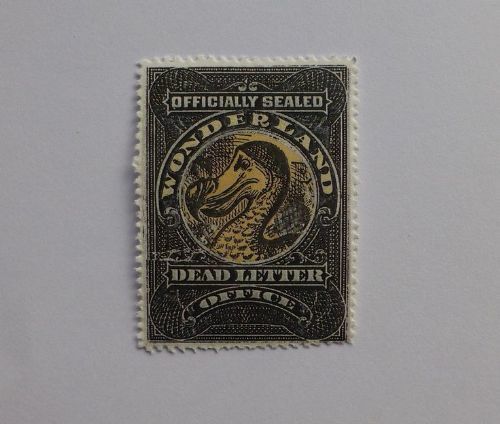 Do you know the story behind the stamps?